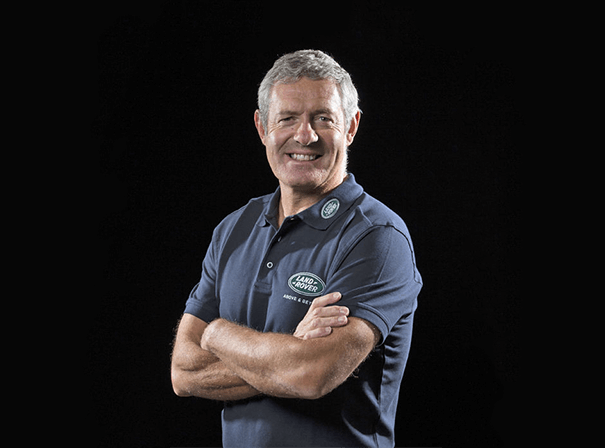 Gavin Hastings is a celebrated former Scottish rugby union player who was hugely decorated in his time in the game. He is still a key voice in the international game, writing many columns, offering his insight on TV and radio shows and commentating on game. 56His Scottish highlights included playing in all three rugby World Cups to date; winning the 1990 Grand Slam with Scotland and captaining his country to an historic away victory over France in 1995 after 26 years of trying.He received an OBE in the New Year’s Honours List in 1994, retired in 1995 after the World Cup in South Africa and in all had played 61 times for his country, 20 of them as captain. In this time he managed to clock up more than 700 points and this placed him highly in the all time record scorer’s list. Since leaving the playing game behind, Gavin has worked as commentator for the BBC Grandstand team during the Five Nations Championship and other Internationals. He has been a regular contributor of articles to various national press and can currently be read each week in the Sunday Mail. He also offers first rate 56motivational and team building talks to blue chip companies like British Airways. In 1995, Gavin formed his own company, Hastings International, specialising in sports marketing and sponsorship and his clients include The Famous Grouse, Edinburgh Reivers rugby team, and the Scottish Cricket Union. Should you require someone with real knowledge and sporting prowess to come and add star quality to your event, show, TV programme, function, charity dinner or anything else then Gavin Hastings is a popular and professional choice.